Boho Beach Bungalow: Spring Closet Cleaning! It's heating up in California which means it's time to stash the winter coats (not that I ever use them here) and break out the skirts and dresses. The thing about LA is that it'll be 80-90 degrees for weeks on end and then out of the blue we'll get hit with a 50 degree day which means you totally need that chunky knit sweater again. 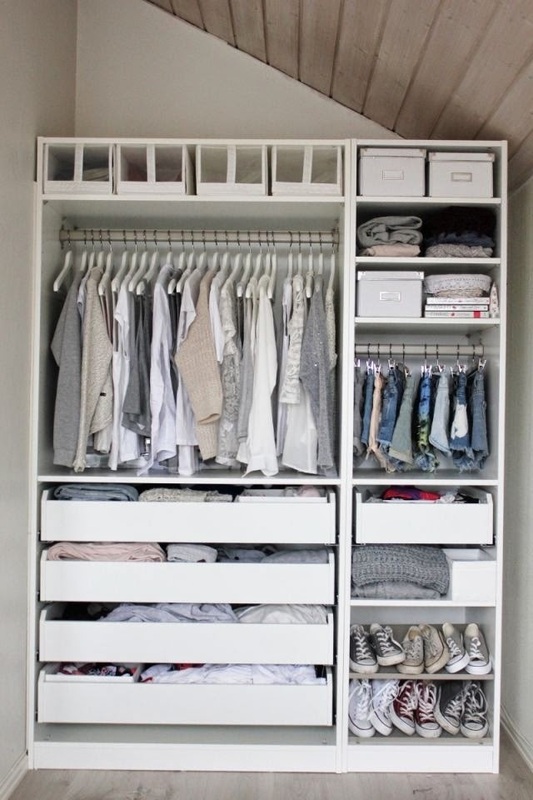 It's all about balance - you can never fully do away with winter or summer clothing no matter the season, which means you've got to be intensely organized about your closets. Here are my tips for spring cleaning and a wonderfully organized wardrobe. Purge. You knew that one was coming. Use it as an excuse to host a clothing swap with your girlfriends and make an event out of it. If you're having a hard time letting go, use this trick to weed out clothing you don't wear by turning all of your hangers around so the hook faces you. Once you wear it, flip the hanger back - after several months you'll easily be able to pick out items you simply don't wear. Another tactic that works well for me is stashing items you're on the fence about in a bag out of sight. If you forget about them after a few weeks, you'll find it easier to let them go. Be ruthless - ask yourself if you'd buy the item today. Get uniform with your hangers. Stick to one type and color. Wood hangers are great, but I recommend slim velvet hangers that take up less space and keep your clothes where they belong. Color code your closet. It will make finding things much easier, and aesthetically, makes your closet look neater. It will also help to see what you have - clearly this girl doesn't need any more white. I take it a step further and organize by color and type - ie. I do white tanks, white short sleeves, white 3/4 sleeves, white long sleeves...etc. But really. 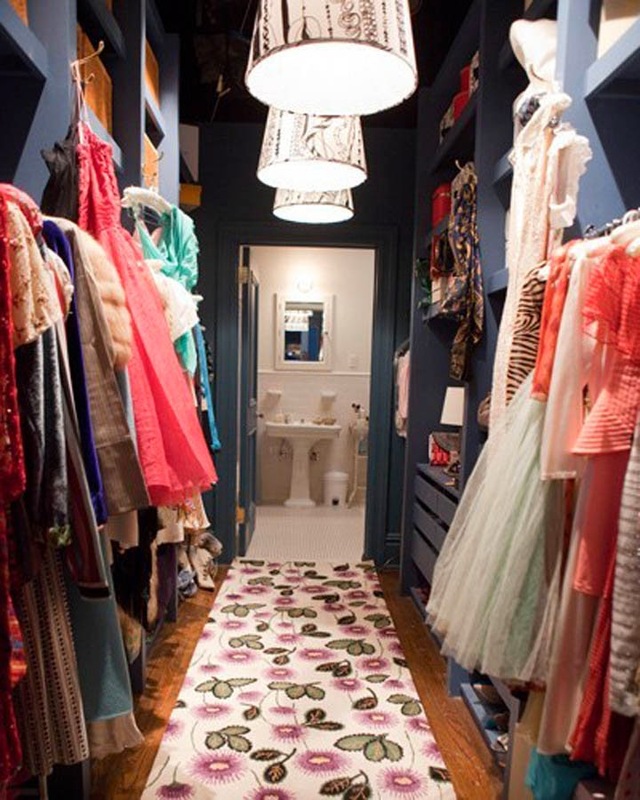 I think we've all lusted over Carrie Bradshaw's single woman 2nd bedroom status closet. 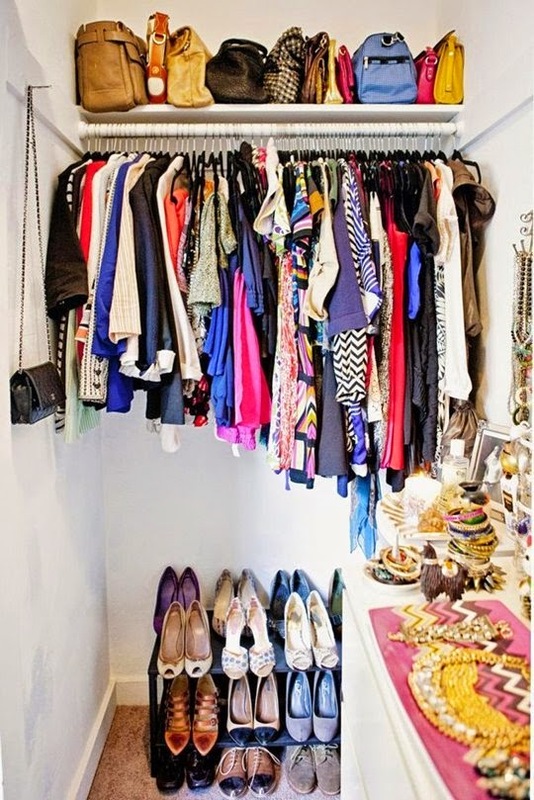 And while most of us don't have this kind of space, you CAN make your closet work for you. If you have hanging space, hang everything on slim hangers. 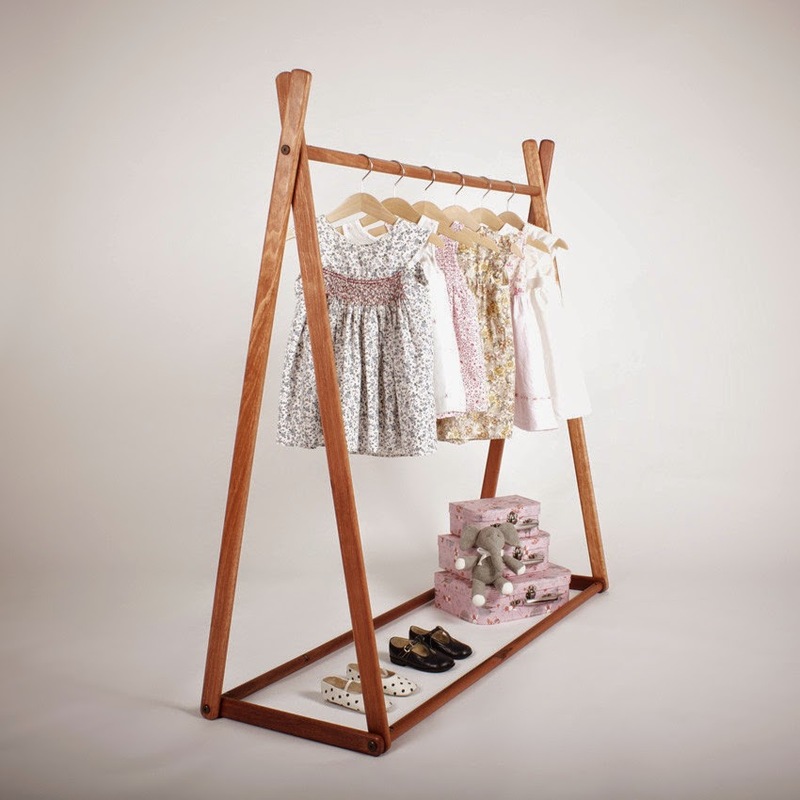 Double up on your racks by adding an extra hanging rod, put your shirts on top and skirts on the bottom. If you have shelves, take your storage all the way to the ceiling and make use of every inch of space. Add shelf dividers to stack folded sweaters (and if you really want them to look perfect, use a slender cutting board make folding uniform), or stick a dresser in your closet if you've got the room. 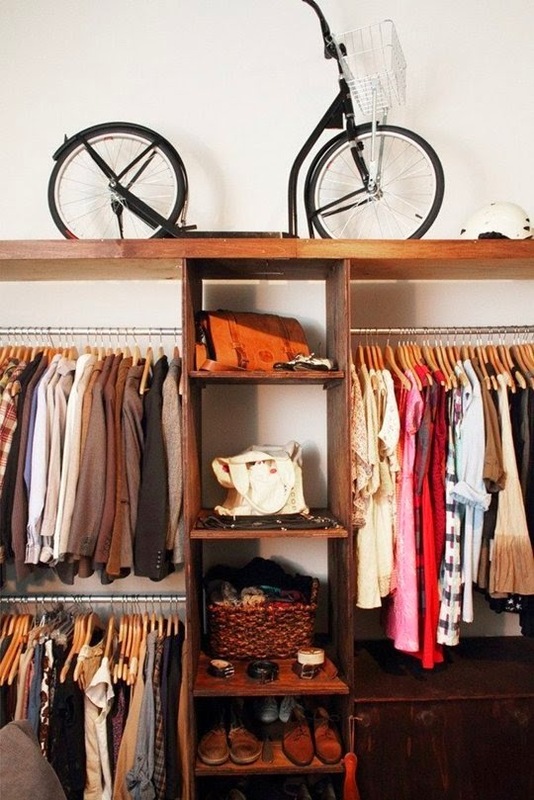 If you're short on closet space, consider a clothing rack. Use it for your favorite garments and your outfits for the next day. Alternatively, you can move your closet out into the open. 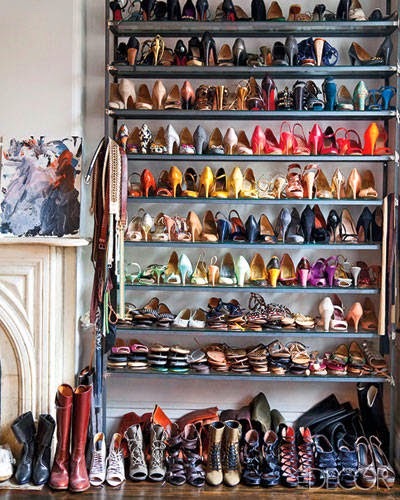 It may make you more committed to keeping your closet clean and organized if you have to look at it everyday! 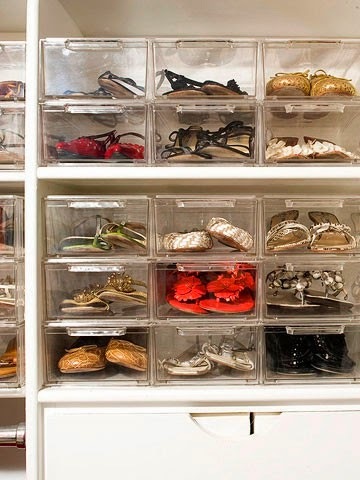 Keep your shoes in clear plastic boxes that stack easily. That goes for everything - make sure you can see your clothes/accessories/shoes, otherwise you won't wear them. Some more miscellaneous tips: if you have a door, add hooks. Keep your most loved and worn garments easily accessed. Add lighting so you can see what's in your closet. Stash a step ladder in your closet to access those top shelf items. If all this hasn't gotten you in the mood to spring clean your closet yet, below are some more inspiration shots. What are your best organizing/spring cleaning tips?